The 6.1 Issue of the American Journal of Bioethics Neuroscience (AJOB Neuroscience) is now hot off the presses with two target articles highlighting ethical issues behind the use of two very different therapeutic interventions: first-in-human trials to treat Parkinson’s disease using stem-cell based therapies and prescription stimulants to enhance motivation. The Target Article “Ethical Criteria for Human Trials of Stem-Cell Derived Dopaminergic Neurons in Parkinson’s Disease”1 by Samia A. Hurst et al. discusses three specific considerations of a phase I(safety)-II (efficacy) clinical trial designed to test an experimental neurorestorative stem cell therapy for Parkinson’s disease. Parkinson’s disease is a result of the loss of dopamine-producing neurons in the substantia nigra, and significant depletion of dopamine leads to the tremors, rigidity, and difficulty initiating or halting movement that is often seen as the disease progresses. To compensate for the diminishing levels of the neurotransmitter, standard treatment relies on the drug levodopa, which is converted to dopamine in the body. Levodopa is not curative though, and for that reason, researchers are beginning to study the neurorestoration technique of dopamine-producing stem cells transplants2. As promising and groundbreaking as stem-cell therapy is, protecting human subjects will be of utmost importance as the therapies enter clinical trials. Parkinson’s disease is progressive, meaning that patients could exhibit a wide spectrum of mild to debilitating symptomology. After considering the risk-to-benefit ratio of enrolling patients who have either just been diagnosed or are at an advanced state of the disease, the authors suggest that only patients with approximately less than 15 years to live with “moderately advanced” Parkinson’s disease should be enrolled. Moderately advanced Parkinson’s is defined as a time when patients have been diagnosed and are responding to levodopa therapy. These patients should have minimal motor impairments and no impairment of cognitive function. Since neurosurgery is not without risks and stem-cell therapy benefit may not be obvious for a long time period, a clear informed consent process is critical. The patients must understand that the study’s purpose is not to alleviate Parkinson’s symptomatology immediately, but to instead increase understanding for the disease and the experimental, high risk nature of the procedure. The authors conclude that a sham surgery, which involves inserting a needle into the brain, but not injecting stem cells, cannot be justified in a phase I-II clinical trial. Sham surgery is fraught with its own ethical concerns related to the powerful placebo effect, especially when research has suggested that Parkinson’s disease patients are especially susceptible to the placebo effect3,4. While a 2005 investigation of sham surgeries in Parkinson’s disease research suggested that the majority of clinicians support sham surgeries over unblinded controls5, finding interventions better than placebo or sham is challenging if sham is the ultimate threshold over which novel therapy should pass6. The authors ultimately recommend an open-label clinical trial design or a trial that compares stem-cell therapy to alternative medicines other than highly invasive surgery. The authors also remark that even if Parkinson’s disease patients are more likely to improve based on a placebo, Parkinson’s is degenerative and the placebo effect would most likely not survive declining motor function over the long-term of this study. In the second Target Article, “Enhancing Motivation by Use of Prescription Stimulants: The Ethics of Motivation Enhancement,”7 author Torben Kjaersgaard raises questions about the nature and value of human effort. The enhancement debate has been ongoing for over a decade8, and revolves around the value of “hard work” and integrity to complete a goal. For some, the idea of enhancing cognitive function is a shortcut that creates an unfair playing field where certain individuals have surpassed their natural talents. Others argue that there is nothing wrong with a world full of only the smartest and motivated people. The discussion is made more complicated by research suggesting that current stimulants do not enhance performance9,10. While this debate is not new, Kjaersgaard adds a fresh perspective by arguing that prescription stimulants, such as Adderall and Ritalin, impact motivation (rather than the task performance itself), raising distinct ethical concerns from those related to simply enhancing cognitive function. A lack of motivation or a tendency to become distracted could be signs of moderate depression or ADHD, or as the article notes, feelings of worthlessness and escape. If stimulants are needed to get through most days, then is the user trying to escape from reality and avoiding tackling a more significant problem? Medically enhancing motivation turns a lack of drive or inspiration into a fixable, physiological problem, which is convenient, but Kjaersgaard argues that this undermines important aspects of the human condition. The editorial written by Karen S. Rommelfanger and L. Syd M Johnson discusses the first Gray Matters Report from the President’s Commission for the Study of Bioethical Issues and what lies ahead for research, funding, and education for future neuroscientists in light of the lauded and equally contested Human Brain Project and the BRAIN Initiatives. The authors note that these articles are examples of the types of pertinent discussions that result from infusing neuroscience research and medical advances with ethical questions. In moving forward with the UK and US Brain Projects, it is absolutely necessary that ethicists work alongside researchers to ensure these types of dialogues continue. The Emory Neuroethics Program offers forums for discussion on these pertinent issues and cutting edge topics in neuroscience. The upcoming Neuroethics and Neuroscience in the News event will be held on March 18th, 2015. 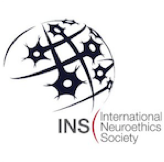 AJOB Neuroscience Editor John Banja and AJOB Neuroscience Editorial Intern Ryan Purcell will facilitate a discussion on the science, ethics, and media portrayals of neuroenhancement including the recent Kjaersgaard article. (1) Hurst, S. A.; Mauron, A.; Momjian, S.; Burkhard, P. R. Ethical Criteria for Human Trials of Stem-Cell-Derived Dopaminergic Neurons in Parkinson’s Disease. AJOB Neurosci. 2015, 6, 52–60. (2) Grealish, S.; Diguet, E.; Kirkeby, A.; Mattsson, B.; Heuer, A.; Bramoulle, Y.; Van Camp, N.; Perrier, A. L.; Hantraye, P.; Björklund, A.; Parmar, M. Human ESC-Derived Dopamine Neurons Show Similar Preclinical Efficacy and Potency to Fetal Neurons When Grafted in a Rat Model of Parkinson’s Disease. Cell Stem Cell 2014, 15, 653–665. (3) Goetz, C. G.; Wuu, J.; McDermott, M. P.; Adler, C. H.; Fahn, S.; Freed, C. R.; Hauser, R. A.; Olanow, W. C.; Shoulson, I.; Tandon, P. K.; Parkinson Study Group; Leurgans, S. Placebo Response in Parkinson’s Disease: Comparisons among 11 Trials Covering Medical and Surgical Interventions. Mov. Disord. Off. J. Mov. Disord. Soc. 2008, 23, 690–699. (4) McRae, C.; Cherin, E.; Yamazaki, T. G.; Diem, G.; Vo, A. H.; Russell, D.; Ellgring, J. H.; Fahn, S.; Greene, P.; Dillon, S.; Winfield, H.; Bjugstad, K. B.; Freed, C. R. Effects of Perceived Treatment on Quality of Life and Medical Outcomes in a Double-Blind Placebo Surgery Trial. Arch. Gen. Psychiatry 2004, 61, 412–420. (5) Kim, S. Y. H.; Frank, S.; Holloway, R.; Zimmerman, C.; Wilson, R.; Kieburtz, K. Science and Ethics of Sham Surgery: A Survey of Parkinson Disease Clinical Researchers. Arch. Neurol. 2005, 62, 1357–1360. (6) Freed, C. R.; Greene, P. E.; Breeze, R. E.; Tsai, W.-Y. ; DuMouchel, W.; Kao, R.; Dillon, S.; Winfield, H.; Culver, S.; Trojanowski, J. Q.; Eidelberg, D.; Fahn, S. Transplantation of Embryonic Dopamine Neurons for Severe Parkinson’s Disease. N. Engl. J. Med. 2001, 344, 710–719. (7) Kjærsgaard, T. Enhancing Motivation by Use of Prescription Stimulants: The Ethics of Motivation Enhancement. AJOB Neurosci. 2015, 6, 4–10. (8) Farah, M. J.; Illes, J.; Cook-Deegan, R.; Gardner, H.; Kandel, E.; King, P.; Parens, E.; Sahakian, B.; Wolpe, P. R. Neurocognitive Enhancement: What Can We Do and What Should We Do? Nat. Rev. Neurosci. 2004, 5, 421–425. (9) Lucke, J. C.; Bell, S.; Partridge, B.; Hall, W. D. Deflating the Neuroenhancement Bubble. AJOB Neurosci. 2011, 2, 38–43. (10) Smith, M. E.; Farah, M. J. 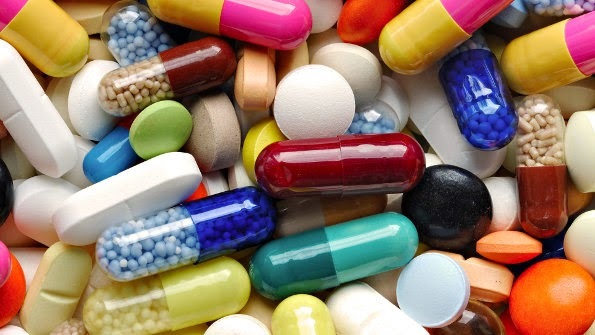 Are Prescription Stimulants “Smart Pills”? The Epidemiology and Cognitive Neuroscience of Prescription Stimulant Use by Normal Healthy Individuals. Psychol. Bull. 2011, 137, 717–741.